When choosing a grill, look for one that suits your budget and lifestyle. Get a grill that is both affordable and easy to use. 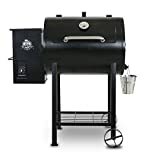 Pellet grills and gas grills are two of your options and both offer a number of the same benefits such as the fact that they both start quickly and are easy to use. There are also a number of significant differences. How do pellet and gas grills differ? The big difference between the two is the fuel. 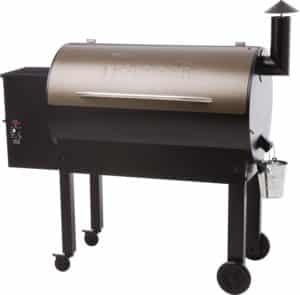 Gas grills use gas and pellet grills use hardwood pellets, which are made from hardwood scraps. What does each one do best? 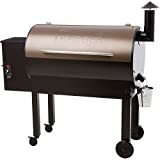 Pellet grills were designed as an alternative to conventional smokers, which means that they are ideal for low and slow barbecue that is done between 200 and 300 degrees. They also provide food with the hardwood taste that will be lacking with most fuel types, but especially with gas. Because pellet grills use real hardwood, your food will taste like it was cooked in a conventional smoker. Gas grills are best at medium heat cooking. They can get to 500 degrees without a problem and the higher-end models can produce even hotter temperatures. Are there any negatives to consider when choosing between pellet and gas grills? Pellet grills are limited in the amount of heat that they can deliver. Many of them will not allow you to cook above 450 degrees. The low temperatures are still good enough for cooking chicken and hamburgers, but will not be hot enough for you to give you a good sear on a steak. Newer models do allow open flame grilling, which is hot enough to sear; however, the section of the cooking surface on which you can do this is limited. Gas grills struggle with maintaining lower temperatures and many are not able to achieve the highest ranges either. Heat retention is a part of the problem since they have to well-ventilated for safety reasons. Most charcoal grills do a better job of retaining heat in comparison. Gas is also a flavorless fuel that contributes nothing to food. Are pellet grills easier to use than gas or vice versa? For many people, getting a fire started is the hardest part of the whole grilling process. Pellet grills are easy to get going, just load the grill’s hopper and set your desired cooking temperature. Similarly, the big selling point for gas grills is their user-friendliness. If you have ever used a stove before, you can use a gas grill. Just turn the knob and you are ready to go. Both grills are simple to use with minimal cleanup necessary after cooking. 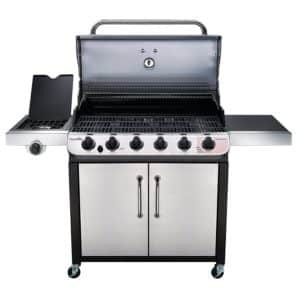 Gas grills are popular and easy to find in a range of styles and in a broad range of prices. You can find everything from low-cost budget models to high-end models with a variety of features. Pellet grills have not yet achieved the level of popularity seen with other fuel types like gas and charcoal. The category is still growing, which means that they are both hard to find and more expensive. 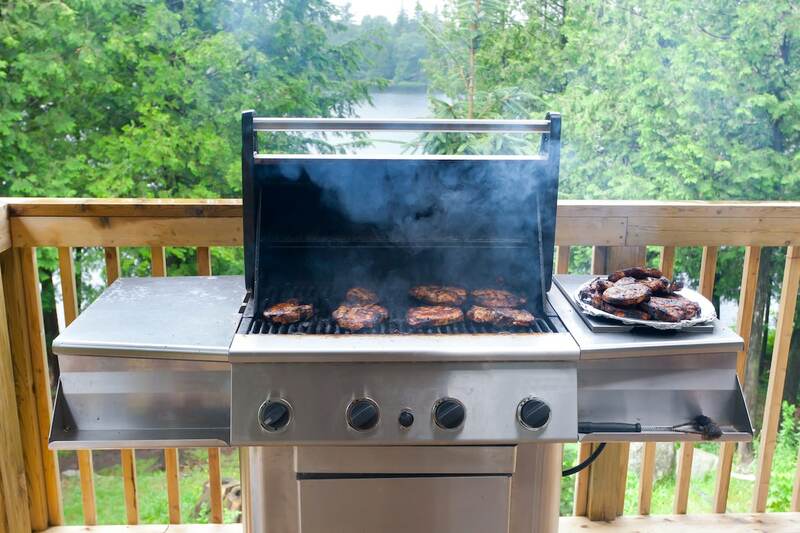 When should you use a pellet grill and when should you use a gas grill? If you primarily use your grill for low-temperature cooking where the hardwood smoke flavor is paramount, a pellet grill is best. Pellet grills are also a better option if you need something portable since there is no need to lug around a propane tank. If you are on a budget or need a grill with an easy-to-find fuel, gas is better. For the same amount of money that you would spend on a lower-end pellet grill, you can get a solid gas grill with an ample grilling space.